Our Laser Glossy White adhesive labels are created on an 8 1/2" x 11" sheet and come 63 per page. Glossy laser labels measure 1" round. 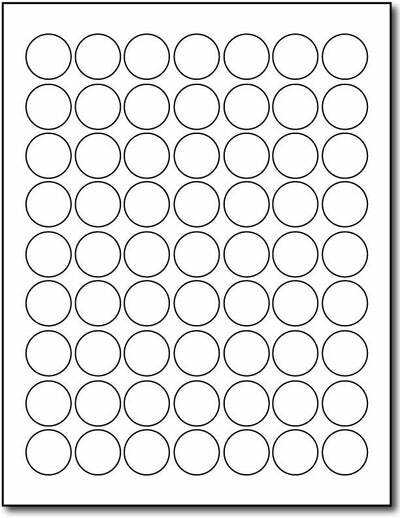 Round laser labels are great for sealing envelopes, invitations, brochures, and much more!